Visibility: Mostly clear with some haze after a few foggy days. Time Aloft: 30 minutes on the 24th. 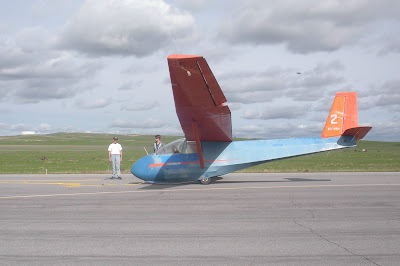 Tow pilot: Jim Rickey, Frank Owen. What, you say, did they do? Something that hasn't been done in my time in the club (Since 1992). 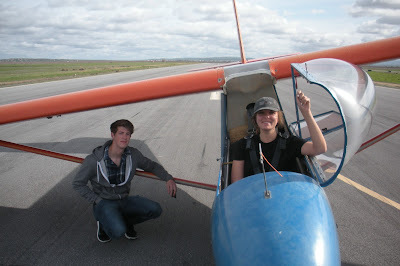 They, Cal Poly students Troy Wollman and Neiman Walker recovered a lost rope that had separated shortly after takeoff. Most of the time, we never recover a rope that has separated in flight. If we're over a plowed field, the rope just buries itself straight in and we never find it. Once in awhile, we'll find a small end of it snagged on the barbed wire fence. But mostly we never retrieve either the rope or the expensive hardware that is more difficult to replace. The story follows after the pictures taken on Saturday the 23rd. 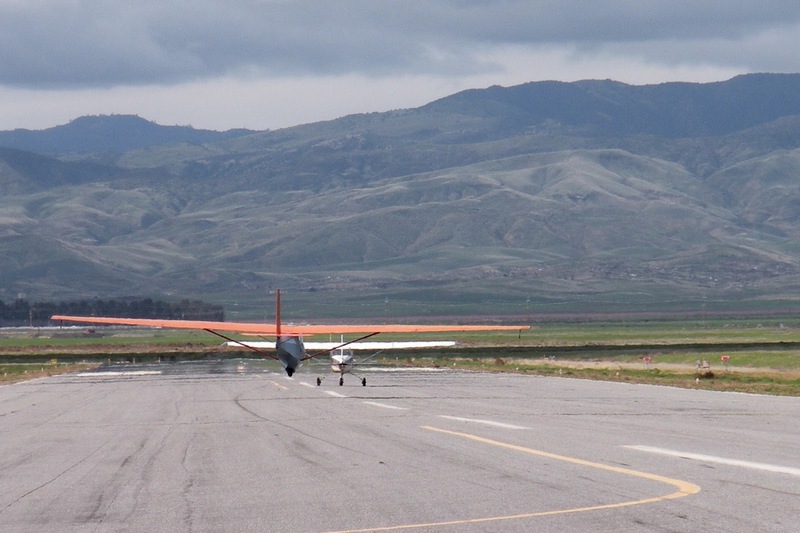 Sergio and Alex landing on runway 1 at Coalinga. Bringing the glider back to runway 12/30 for continuing launches. 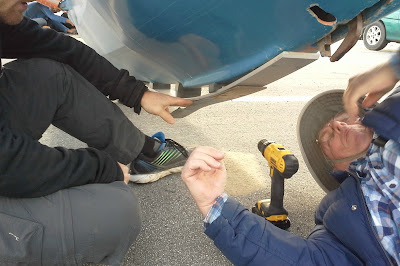 Jim Rickey inspecting the steel skid plate, worn too badly to continue operations on the 23rd. 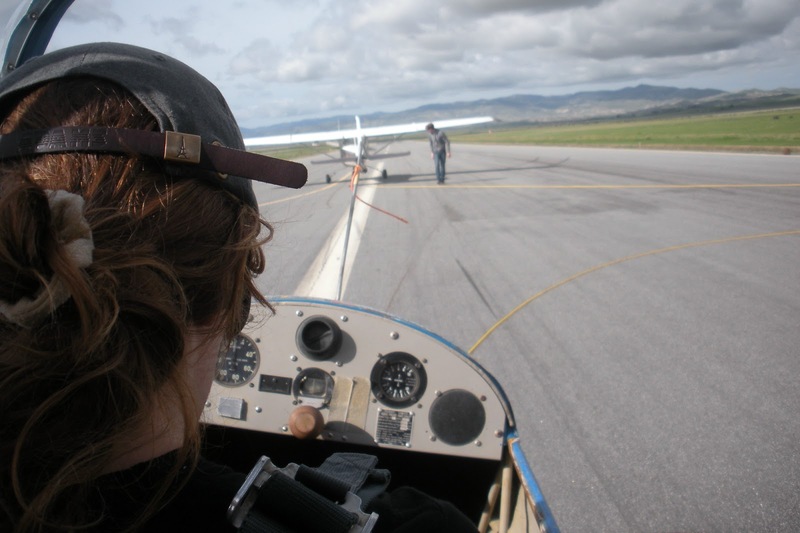 Jenn Bauman ready to launch on runway 30 at Coalinga. 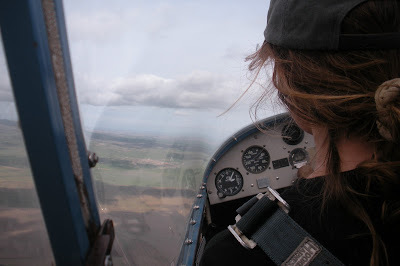 Jenn doing good work staying aloft for half an hour in very weak lift. Happy to have completed the flight but now ready to go aloft by herself. 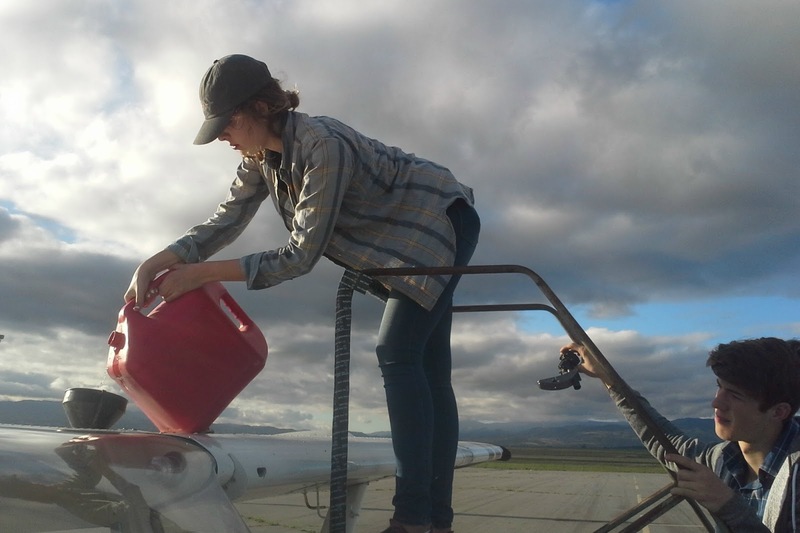 Jesse McClintock helping Jenn get launched for her solo flight at Coalinga. Frank Owen and Jesse waiting for Jim Rickey to get into position in the tow plane. 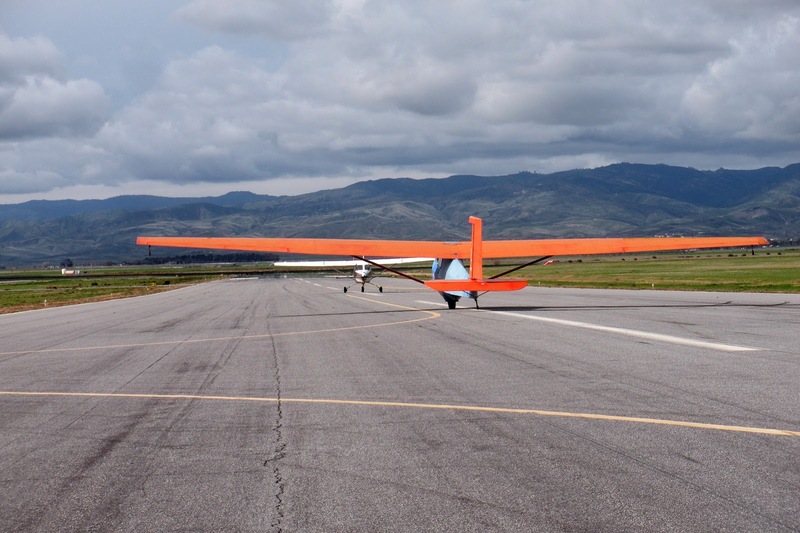 Nice wide open spaces off the end of runway 30 as Jenn Bauman prepares her glider. 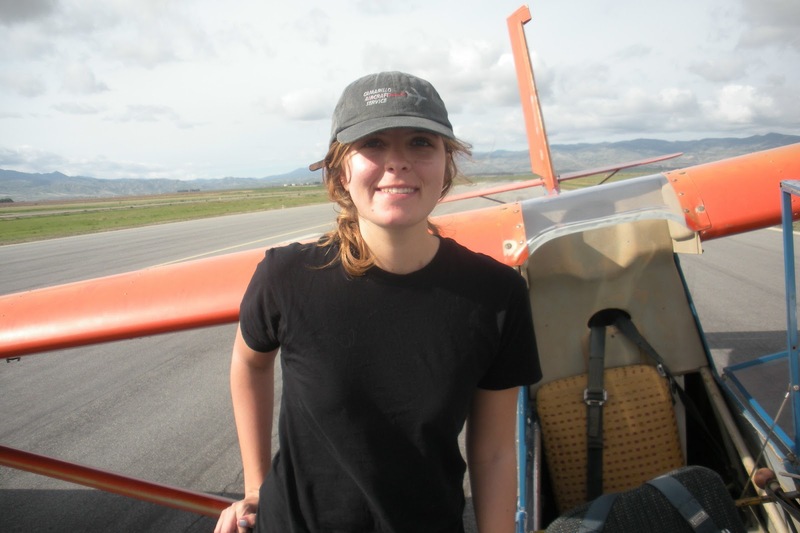 Jenn had a nice flight all alone and it made her feel a lot better than just before launch. 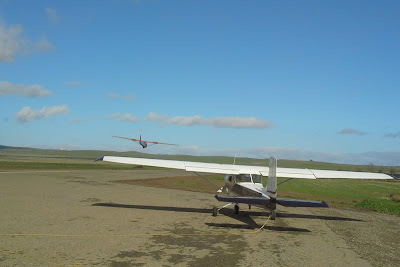 Off she goes behind Jim Rickey in the tow plane. 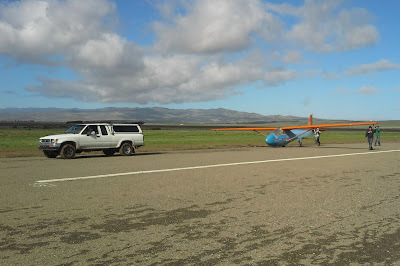 Off the runway and setting up a crab to account for the right cross wind on runway 30 at Coalinga. Jennifer fueling the towplane at the end of flight operations on the 23rd of January. Because of the worn skidplate we weren't sure if any operations could take place on Sunday. But they did find a spare plate in the clubhouse and Jim Rickey installed it. So, operations were on for the next day, Sunday. 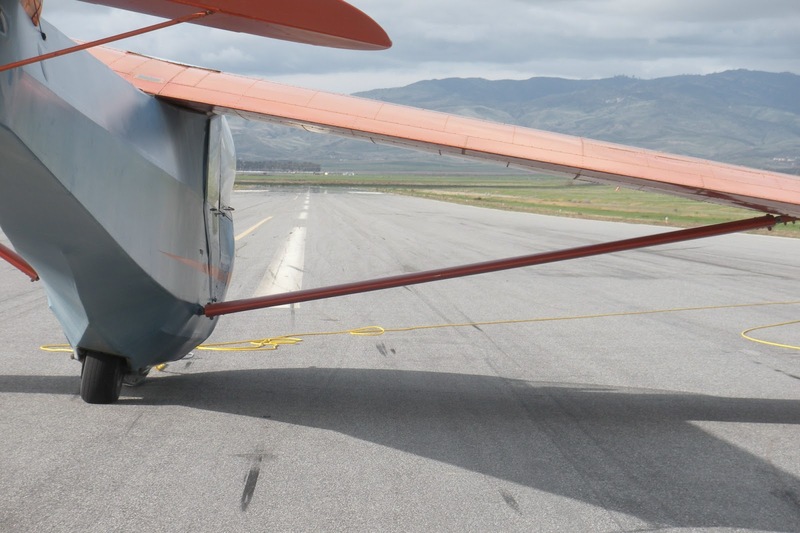 In the meantime, Troy Wollman and Neiman Walker sent a text telling us that they had examined the Go-Pro video and determined that they could estimate rather closely, where the rope might have landed after breaking from the tow plane. After analyzing footage from the rope break flight, Neiman and I believe that we have determined the location of the rope. 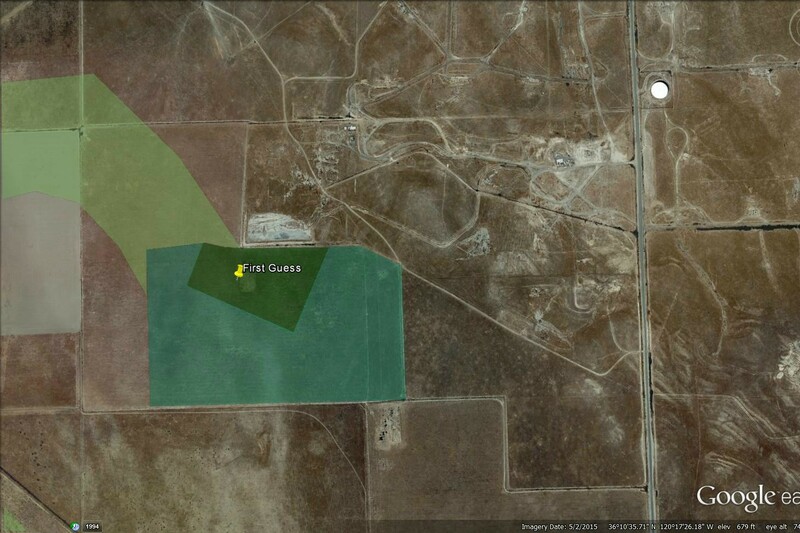 The dark green shroud is where it most likely fell. The lighter areas are possible as well, although less likely. 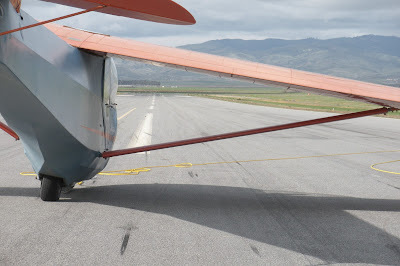 The video shows the rope "snapping back" from the towplane towards the glider. This was likely sufficient to release the rope. We placed a pin on the map directly below where the glider was flying at this moment. 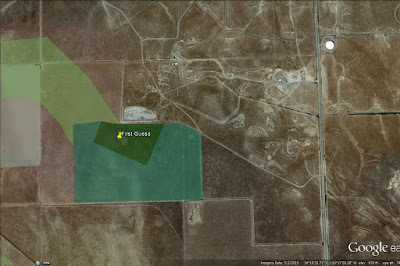 GPS coordinates included. Maybe a few people want to walk over with phones or a GPS and see if we are correct? 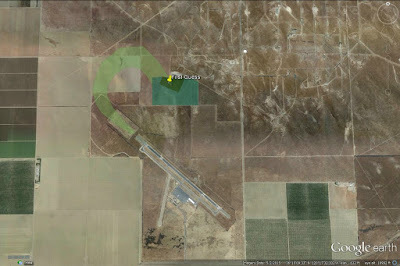 An overview of the area showing the possible location in relation to the Coalinga airport. The dark green is the best estimate of where the rope fell. They found it in that exact area. And there it is folks!!! 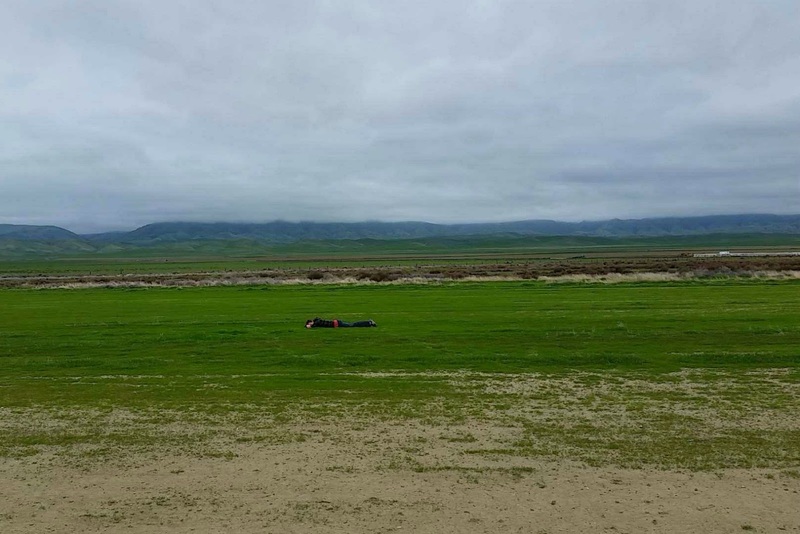 Fortunately it didn't bury itself in soft earth, to be lost forever. I'm not sure but whoever this is must have fainted at the surprise of finding the rope. 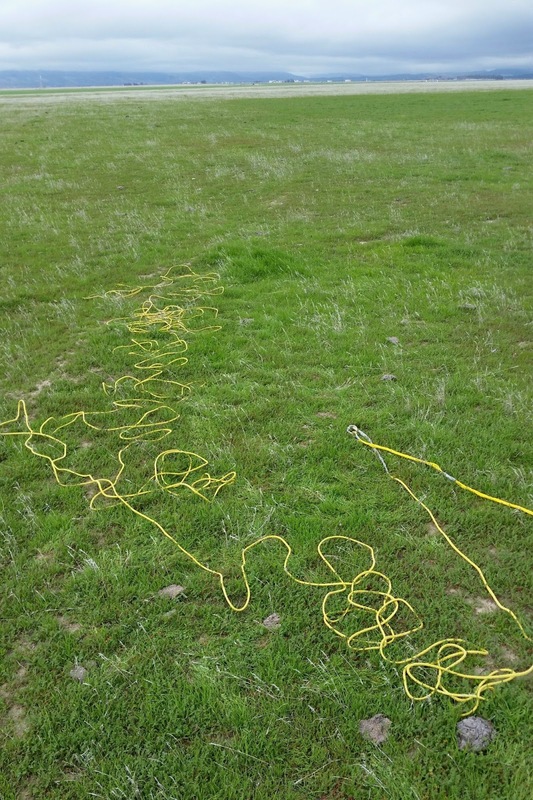 We were able to recover the broken rope from Coalinga today. 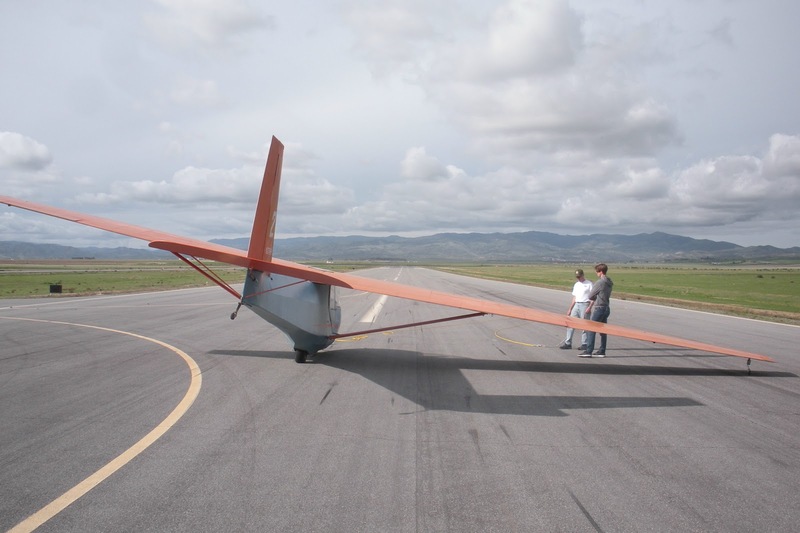 We usually record our flights using GoPro cameras. On this particular flight, Neiman was wearing a camera with a headstrap. We accidentally tipped the camera too far forward, which was serendipitous for this flight, because it gave us a clear view of the rope break. Notice in the video that there are two distinct sounds; the rope breaking and the release opening. 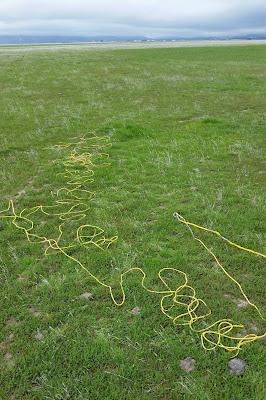 We found the rope about 300 ft from where we expected it to be. At least we can keep the weak link and hardware. Meanwhile back at the Avenal assembly hangar, Jan Zanutto, Martin Caskey, and Jim Rickey were busy getting Big Bird back on its wheel. 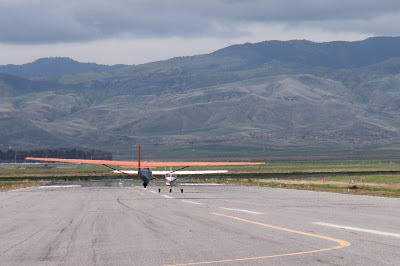 As Jan mentioned, it's getting so much closer to flying again and we are all waiting anxiously for that to happen. 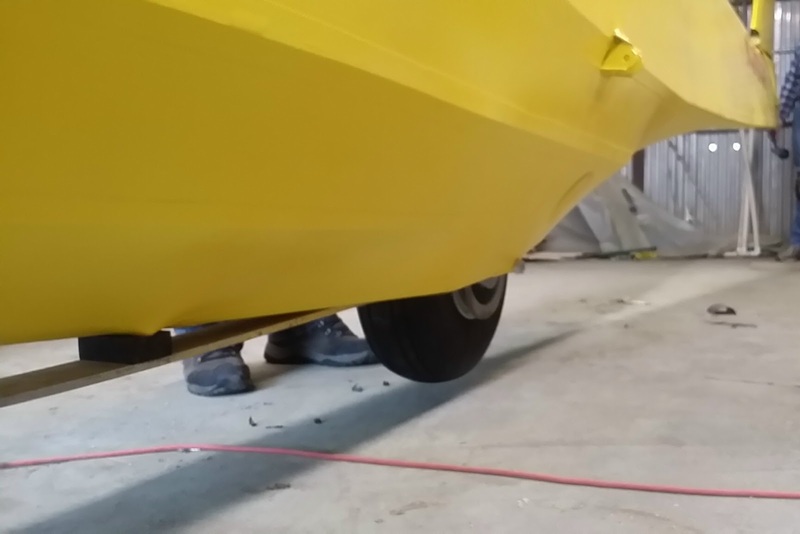 Thanks to all those who worked on the project. The main wheel is just about to touch down for the first time in a long time. 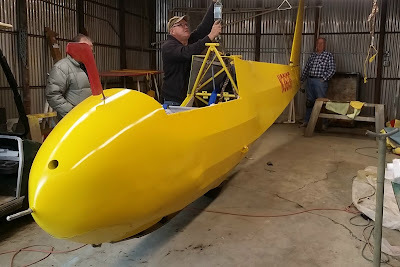 It's beginning to look like a glider again, a beautifully restored glider at that. 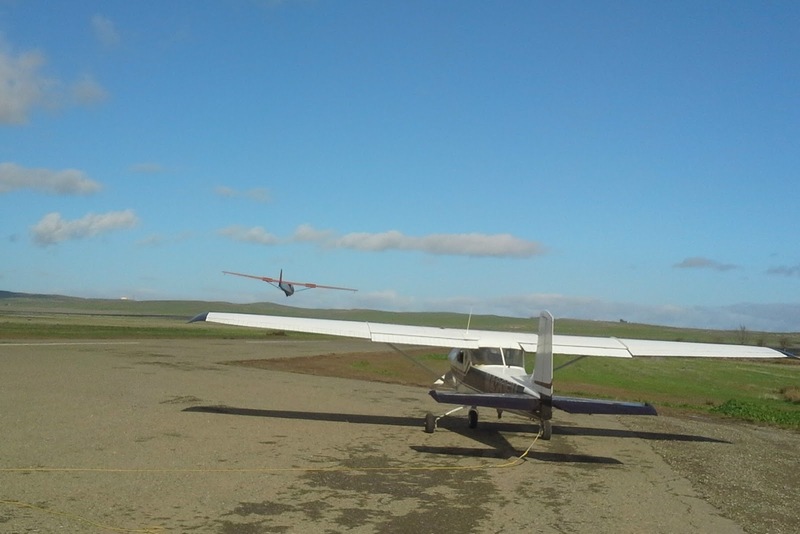 Not sure whether glider operations will continue at Coalinga or head back to Avenal. 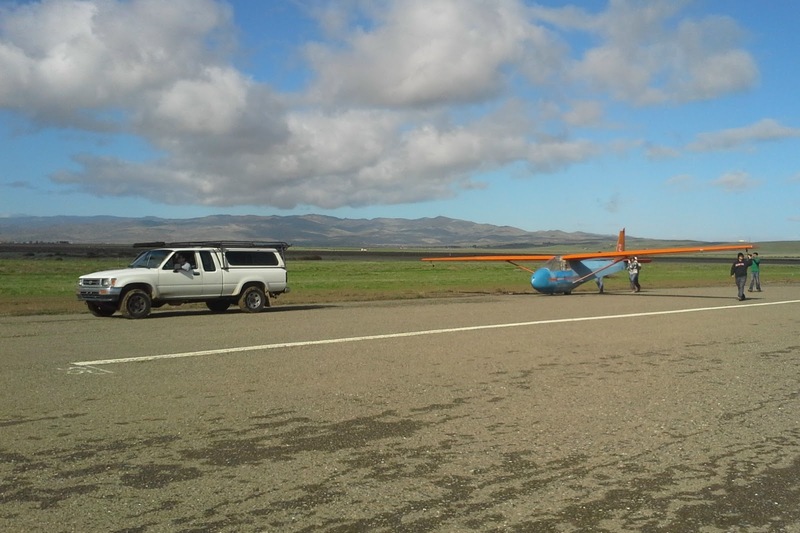 As expected, it's a lot easier to conduct glider operations at Avenal, safer, and less wear and tear on the glider. 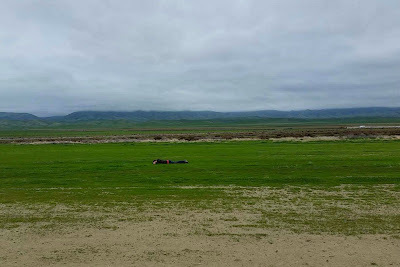 Maybe the weekend of February 6-7 we'll move back to Avenal.